What’s the best food for a multi-day hiker on a budget? 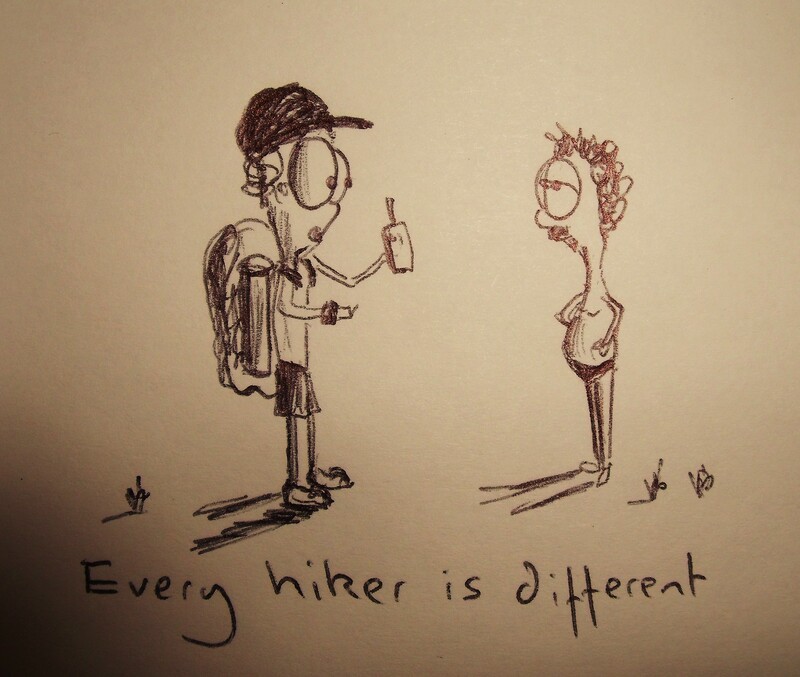 Every hiker is different. Some walk at unfathomable speeds, addressing the many gadgets that swing from their bodies – satellite phones, altitude watches, GoPros – packing light, breaking records and forever under the strain of burning thighs and beading foreheads. Whilst others step slowly through the landscape, barely breaking sweat and ill-prepared in the event of a storm with an ancient cagoule that lost its waterproofing a decade ago, if indeed it ever had any. I like both, though I must admit, I’ve never used a satellite phone, altitude watch or GoPro, let alone owned one. What I mean to say is, both have their values (another story altogether). Jam – yes, I know, anything in glass should be heavily scrutinized, but think of the sugar! ← Do grazing geese sound like bubbles? Don’t know whether they’re available where you are but I highly recommend Clif Bars. They’re filling, nourishing, pack well and have a long shelf life. You can get them for a dollar U.S. when they are on sale, which is most the time. Irv, I haven’t heard of Clif Bars, but they sound great! Filling, affordable, nourishing and a long shelf life, that’s all you can ask for.